An Adults Bull Step-in Costume including a Step-in Costume with plush design – Ideal for an Animal theme, or any fancy dress occasion! Have a fantastic rodeo time as you transform yourself with this fantastic Adults Bull Step-in Costume. This fantastic Adults Bull Step-in Costume comes complete including an all-in-one Step-in Costume with plush Bull design. 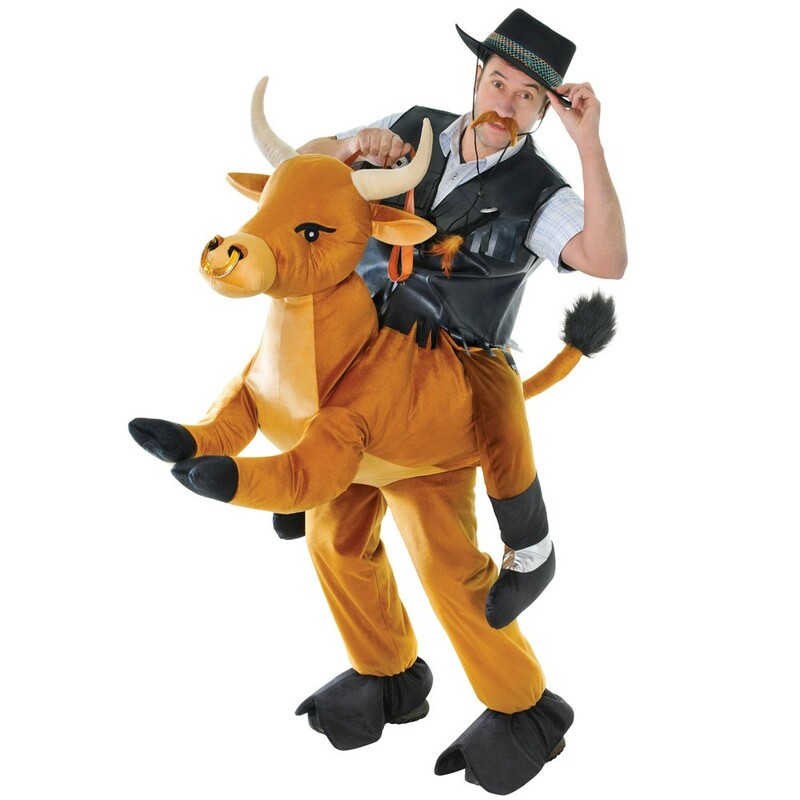 This Adults Bull Step-in Costume features a pair of trousers with an attached plush body and legs, and adjustable straps and a faux leather waistcoat detail. Perfect for any animal theme, comedy theme, Stag or hen Party, or any fancy dress occasion, this Adults Bull Step-in Costume will be sure to make you stand out from the crowds! An Adults Bull Step-in Costume including an Step-in Costume with plush Bull design.